The imprint of the body on the Shroud does not match that of a condemned posted in a location similar to the classical representations of the crucifixion. And not even that of a bloody body lying in the tomb. These are the findings of new studies by Matteo Borrini, professor of forensic anthropology, now at John Moores University in Liverpool (UK), and Luigi Garlaschelli University of Pavia, that for this research has obtained a contribution of the AU. The work, presented by Borrini at the Conference of the American Academy of Forensic Sciences in Orlando (USA), confirms the findings already last year by a similar study of the two teachers. As known, the image of the Shroud of Turin are visible, in addition to the faint image of a body, even trace amounts of (alleged) blood resulting from the wounds of passion on his forehead and neck, on the chest, on the feet, and finally on the back of one hand and on the front of the forearms, from wrist to elbow. The scope of work of Borrini and Garlaschelli was to verify – using forensic techniques of BPA (Bloodstain Pattern Analysis – analysis of the shape of the blood stains) – what should be the posture of a human body so that the rivulets of blood you have as it appears on the footprint human in the Shroud of Turin. A thin cannula for transfusion, connected to a bag of blood, was applied to the dorsum of the left hand of a volunteer in three different positions of possible leakage of the nail, in agreement with the most common assumptions about the exact anatomical location of the wound as it follows from the Shroud. In previous studies, the forearm was kept at different inclinations with the aid of a goniometer ballistic – 0 °, the horizontal arm, 90 °, vertical arm – and a modest amount of blood had been made on the back of the hand casting and along the forearm. All tests had shown that in order that the stream of blood flowing on the outside of the forearm, as visible on the shroud, the angle of the arm itself must be greater than 80 ° and less than 90 °, and then placing it in a position almost, but not totally vertical. The arms were always placed vertically, even with hands over his head, to play the position assumed if the condemned had been crucified in a single vertical pole. To simulate the hypothesis that the bleeding had occurred (perhaps by a body washed) after death, blood was dripped from the back of the hand of a volunteer lying with his hands on the pubis in the same position of the Man of the Shroud ( both legs stretched that flexed). In none of these tests has achieved a performance of rivulets similar to that seen on the Shroud. Scholars have finally run a BPA for the wound to the right side. A sponge (of the same size of the alleged injury readable on the shroud) soaked synthetic blood was pressed through a special grip on the torso of a mannequin standing. The trend trickles result in this case is vertical, consistent with that from image front of the Shroud of Turin. However doing the bleeding experimental with dummy lying (for groped to reproduce leaking from image ridge of the Shroud, which also derives from the wound to the chest for bleeding post-mortal), the result was quite different. Taken together the results of these tests are therefore not consistent with the general trend of the rivulets of blood on the Shroud of Turin and seem to refuse to testify in favor of their authenticity, but rather in an artistic or didactic. Link to postings about the previous studies by Borrini and Garlaschelli . Excellent video, but contrary to the propaganda of Union Atheists Agnostics and Rationalists actually confirming forensic accuracy of the Shroud. Was that “propaganda” an agenda driven experiment? If Luigi Garlaschelli was making the experiments crucified like Jesus his results would probably be different. 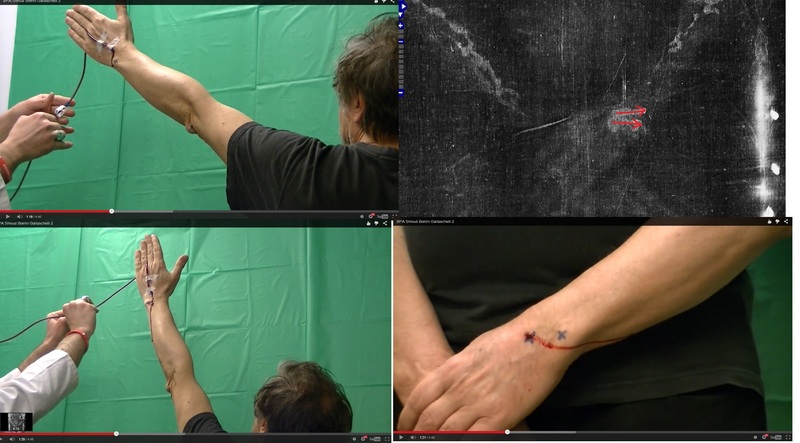 laser trajectory, Blood spatter and other relevant field work. investigations easier, quicker and more accurate. The ‘blood belt is more likely not on the body, but blood that was spilled from the side of the body when it was lied on the right side (and not on the back, like in Garlaschelli & Borrini study). The Shroud was also likely not entirely horizontal level, but minimally inclined to the side, so that the blood flowed to the left side. Most likely. The mark of the sponsor explains why. They most likely made conclusions before, and performed some studies to back it up. Why? To make “scientifically-backed” claims, that contrary to near unanimous opinion of medical experts like Barbet, Bucklin, Hynek, Lavoie, Zugibe etc. that Shroud image is anatomically wrong. Based on hasty conclusions from some simplified experiments, and unclear criteria (based on video published, I cannot see any results that would contradict the forensic accuracy of the Shroud). I suppose that the purpose of those experiments is to gave their followers some “arguments” of this kind into their hands. To shout lies that “Garlaschelli & Borrini experiments proved that the Shroud is a fake”. As far as forensic archaeological techniques of ABPA (Archaeological Bloodstain Pattern Analysis) is concerned, Borrini and Garlaschelli just failed/could not discriminate between, lightly mordanted/degraded ante- and post-mortem blood rivulets; lightly mordanted/degraded freshly dried or half-dried ‘crucifixion blood’ flows, lightly mordanted/degraded remoistened ‘crucifixion blood’ and lightly/mordanted/degraded sweat remoistened washed out ‘blood’. They just totally ignore or overook blood intensifiers (such as pre- or light mordanting and/or carbon monoxide liberated along with smoke in the course of a Second Temple period Judean burial in the shape of fumigation/burning aromatic aloetic woods/myrrh etc) could account for the aged/archaeological blood colour changing (upon exposure to bright sunlight or UV exposure) from standard old brownish to bright carmin red via brownish mauve. Indeed Archaeologically speaking, the TS crucifixion victim haematic cartography is flawless. Their alleged reconstruction is neither ‘forensic’ nor archaeological at all. It light-years away from state-of-the-art experimental archaeology! Sorry. I’m no expert Archaeological Bloodstain Pattern Analysis! on what you should discuss (= observations about the angles, etc.). >Synthetic Blood was developed in order to fill a need to eliminate the possibility of pathogens originating from the use of human and non-human blood in the classroom or lab…). Max, I think you have missed the point. There was no intention in this experiment to investigate the colour or nature of the blood on the Shroud, only the verisimilitude of the blood flows. As such, consideration of what might have happened to the blood after it had flowed was irrelevant. Other experimenters, or theoreticians such as yourself, have considered how a blood flow might be transferred from a body to a cloth, and having done so, how it might, after hundreds of years, present the appearance that it does now, but science proceeds by small steps, and there is no need to try to find the answers to everything at once. There is no need to accuse Guarlaschelli or Borroni of being unable to discriminate, or to have overlooked, or (a favourite of the authenticist) to have “totally ignored” factors which were irrelevant to their experiments. Methinks they just missed the point in terms of ARCHAEOLOGICAL bloodstain pattern analysis. Wrong again, Max. The archaeology of the blood is irrelevant. The blood on the Shroud appears in most cases to have arrived by direct transfer from blood on a body. The patterns made by blood on a body under various circumstances are worth investigating. Human circulatory behaviour not having changed in the last 2000 years or so, valid experiments can be made using modern volunteers and modern blood or blood simulants. There are valid criticisms of Garlaschelli and Borrini’s study, but yours are not, so far, among them. Hugh, feel free to swallow B & G’s allegedly ‘forensically’ and ‘archaeologically accurate bloodflow reconstruction’ (B & G are on your side i.e. the anti-authenticists’ side, which does account for your being unsusually uncritical on this experiment). It reminds me of the pro-authenticity pig experiment. Both experiments whether on the authenticists’ or anti-authenticists’ have only the colour of science yet they are not scientific at all. Hugh, if you like gross approximations enjoy B & G’s experiment. Max, you are making up things to criticise. “B & G’s allegedly ‘forensically’ and ‘archaeologically accurate bloodflow reconstruction.’ The only person alleging archaeological accuracy is yourself. Why not address yourself to the experiments themselves? What, specifically, do you object to? Hugh,what specifically don’t you object to to swallow it whole? Hugh, how do you account for your sudden suspension of your usual and systematic critical thinking? Typo: Hugh, what is the reason why you don’t object to swallow it whole? You’re wandering, Max.”What specifically do [I] not object to?” That doesn’t make any sense at all. However, as it happens, I don’t “swallow it whole.” I agree with Antero, below, that their conclusion was a little hasty. My reasons, however, have nothing to do with archaeology or the preparation of the cloth, but because further experiments are necessary, following OK’s guidance about sweat, dirt, fever, ‘random shivers’ and the difference in viscosity that may be due to intense suffering. Garlaschelli and Borroni are well aware of the limitations of their experiment, and in their more formal statement (http://www.aafs.org/sites/default/files/2015/abstracts/E39.pdf) twice say that further studies should be performed to try to clarify the matter. An other overlap, sorry. By Piero’s ‘last link’, I meant from his previous post, namely: http://www.aafs.org/sites/default/files/2015/abstracts/E39.pdf. posted by Hugh have crossed at the same time. >Spatter Blood is intended for use in spatter reconstructions. on impact to surfaces much like real blood reacts. What are the Chernoff faces? Chernoff faces are features of a human face (eyes, nose, mouth, etc.) that can be used to represent different data. What is your own opinion on Chernoff faces on blood maps? I must admit that I really like the idea of using the “Chernoff faces”. All discussions about blood patterns should pertain to this, (or similar) body position on the cross. It is true that the blood flows on the statue above, especially the one on the right arm, look remarkably similar to Garlaschelli and Borroni’s. They appear to have been dripped on rather than painted. However, they look nothing at all like the interwoven zig-zag rivulets that we see on the Shroud. 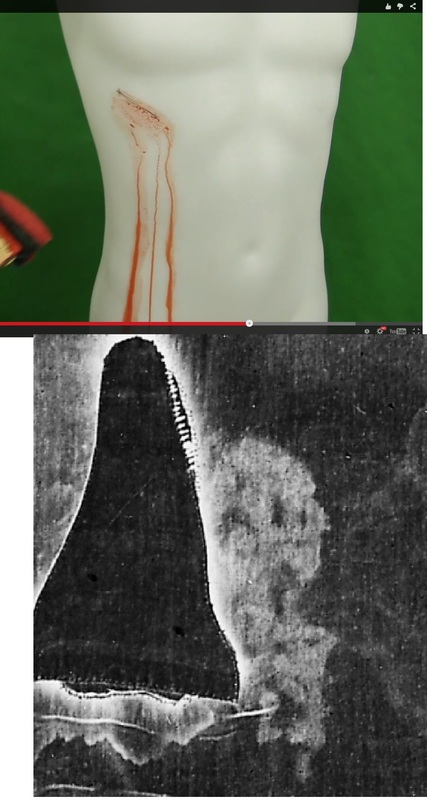 Gilbert Lavoie’s exploration (http://www.shroud.com/pdfs/ssi07part5.pdf) attempts to relate the actual blood flows on the Shroud to a body, but his conclusion: “Note that the blood clots demonstrate a flow pattern consistent with the vertical position of crucifixion,” is unjustified, as both Garlaschelli and Riggi demonstrate. It is true that the blood flows on the statue above, especially the one on the right arm, look remarkably similar to Garlaschelli and Borroni’s. They appear to have been dripped on rather than painted. However, they look nothing at all like the interwoven zig-zag rivulets that we see on the Shroud. The 100 % accurate reproduction of the blood pattern on the Shroud is of course impossible -contrary to Garlaschelli who stood calmly with his clean arms, Man of the Shroud was hanging on the cross with high fever, chills, dirty, sweaty, with his arms covered with blood. Any random shiver could put a blood flow in a different direction. As He was dehydrated, the blood was also likely to be denser, especially shortly before death. As I said, I see nothing in this study that would make the Shroud image anatomically inaccurate. More – I see that this study, contrary to the blusterous claims of the UAAR, managed to replicate more less the general pattern of the blood flows on the Shroud, leaving only some hard to replicate details. If you mean “Garlascelli and Borroni” (not Riggi), I can’t see such a demonstration. Ten years ago (! ), I performed the same kind of experiments with my own blood (5 ml, no liters !!). I got blood rivulets very similar to those seen on the Shroud but the inclination of my forearm was about 60° (not 80° or more) while the inclination of my arm was about 30°. Therefore the configuration was the same as the anatomical right upper limb in the OK’s picture above. Moreover, the blood rivulet went round my elbow so that the “out-of-image” bloodstain seen on the TS occurred naturally. The late Dr. Zugibe provided some interesting comments about my experiments. I can show show photos and comments if necessary. G and B conclusion: “Taken together the results of these tests are therefore not consistent with the general trend of the rivulets of blood on the Shroud of Turin and seem to refuse to testify in favor of their authenticity, but rather in an artistic or didactic.” is false. They did not consider the many different possibilities and parameters. And the utilization of the terms “BPA (Bloodstain Pattern Analysis – analysis of the shape of the blood stains)” is truly false in this context. BPA, which is a term used in the context of analysis of a crime scene has nothing to do with their work. If you have them, please. It’s very difficult to analyze the conditions on which the blood rivulets we observe on the Shroud were produced let alone to reproduce them in any kind of experiment. In a real crucifixion by nailing through the wrists and accordingly to Dr. Barbet’s claim no major arterial or venous blood vessels would be injured it seems that along with small venous vessels only tiny carpal branches from the radial and ulnar arteries would be pierced. So being a mixture of arterial and venous blood would be slowly exiting from the carpal exit nail wound. We have also to consider movements of superior limbs while hanging on the cross and the exact position of them relative to the gravity line during those movements. Contact transter of bloody exudates from forearm clots and washing or not washing he body before wrapping in the Shroud are certainly other aspects to be considered. The bloody rivulets of the experiment were obtained in different conditions. Concerning the side wound, the bloody material on the Shroud is surely post mortem blood from the right atrium and superior cava vein and a serous fluid from a traumatic pericardial or pleural effusion. 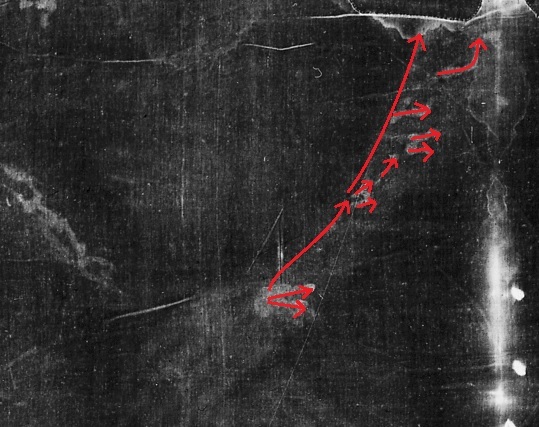 The «blood belt» would form by gravity when the Man of the Shroud was moved to the suppine position with a little inclination to the right side and residual blood flew from inferior cava vein. This is of course an hypothetical scenario perhaps the closest to reality and it seems to me that the conditions of the experiment of Dr. Matteo Morrini and Professor Luigi Garlaschelli did not take into account these and perhaps other unknown conditions. Antero is a medical practioner and it always better for professionals to comment. Why waste time with this unconvincing agenda-driven experiment? Because it is anyway, experiment, with some results that should be critically analysed, no matter possible agenda. UAAR claims new experiments put Shroud’s authenticity into doubt. On the argument that forensic experts (Barbet, Buckiln, Zugibe, Hynek, Sava etc.) think different way, they can say that those experts didn’t perform experiments and base only on their opinion, while experimental data performed by Garlaschelli & Borrini show that the Shroud is anatomically inaccurate. The overtone is: you have opinions, we have results, so our arguments are more scientifically grounded, you foolish bigots. Then we (pro-authenticity) need to show that their results are 1) not conclusive 2) flawed 3) show entirely different picture than militant atheists would like to see. “I can show show photos and comments if necessary.” Yes, indeed, Thibault. They would be very interesting. I will show them but what is exactly the question ? There are so many questions regarding the blood flows ! Exactly, why did you write: ““Note that the blood clots demonstrate a flow pattern consistent with the vertical position of crucifixion,” is unjustified, as both Garlaschelli and Riggi demonstrate.”? Both the Garlaschelli and the Ricci (my apologies for calling him Riggi) blood flows are more or less straight, not twisting, zig-zagging or intertwining. If anybody has achieved anything a bit more like the Shroud, I have yet to see it. Gilbert Lavoie simply laid a copy of the Shroud along an arm and announced that the flow pattern, which he described as ‘blood clots’, was ‘consistent with the vertical position of crucifixion.’ There was no practical or experimental justification for this. Such practical and experimental work as has been carried out has not been consistent with the Shroud. “Why waste time with this unconvincing agenda-driven experiment?” Because, apart from Thibault’s, it is the only one we have. Non-authenticists are forever being told that unless they can reproduce the image exactly, the Shroud must be genuine. Is it impertinent to suggest that unless authenticists can reproduce the blood-flows exactly, they must be considered fake? Garaschelli and Borroni (and Thibault?) have demonstrated that blood will not flow along an arm unless it is well over 45 degree from the horizontal, and the speed of flow means that there is very little time for it to wriggle about as it flows. If the arm needs to be moist with sweat, or grimy with dirt, or the blood needs to be a little thicker to slow it down, then let these experiments commence! Antero points out that as no major blood vessels are, pierced (and I might add that with the wound level or above the head blood pressure is minimal anyway) very little blood would come out at any time, although if the wound were continuously agitated, perhaps sporadic flow could be stimulated until death, when no more blood would be expected, even after removal of the nail. Garaschelli and Borroni (and Thibault?) have demonstrated that blood will not flow along an arm unless it is well over 45 degree from the horizontal, and the speed of flow means that there is very little time for it to wriggle about as it flows. See? Contrary to the right arm (which was nearly vertical), there is no continuous flow from the wrist wound. Instead there is a thin smudge on the upper edge of the arm (which constitutes nearly horizontal surface), and along this smudge, there are several drops falling down the arm at proper angle. All of this is, I think, perfectly consistent with the results of Garlaschelli & Borrini experiments. Well, it is one thing to be tortured and crucified as Jesus was and quite another to make experiments. When I wrote my comment I had not yet seen Dr. Thibault Heimburger’s comment, so I congratulate him too and I invite him to show us the results of his experiment. This time I agree with Dr. Hugh Farey that conditions like sweat aand possible particles of dust on the surface of forearms could also have some influence on the aspect of the blood trails. Actually if a normal individual elevates his superior limb above head level there is an instantaneous blood pressure dropping at distal level but soon homeostatic mechanisms from the sympathetic nervous system adjust blood arterial vessel tonus to the new postural condition so blood pressure dropping is well compensated or minimal. Although blood pressure dropping in superior limbs due to the state of hypovolemic schock and crucifixion position of superior limbs( inclination at about 60 degrees to the vertical?) are important aspects to consider, these would not preclude at all some blood exiting from the dorsal (and volar) wrist exit nail wounds. Nevertheless these conditions would possibly cause a low or very low velocity blood flow and the aspects of the blood trails would also be related to the time the body was hanging on the cross by the progressive adding of small quantities od blood. As we see from previous considerations it is not easy to reproduce in a single experiment the gathering of ALL the conditions present when the Man of the Shroud was crucified and the conclusions of this skeptic experiment are worthless. This does not mean that new experiments shoul not be tried, but not in such a simple approach. Yes.This two-angled argument has been around for a very long time, explained by an alternating two position posture on the cross – standing on the nails in the feet or hanging from the nails in the arms – so that the blood flowed straight down the arms when standing (humerus horizontal, forearms vertical), then poured off sideways when hanging (arms straight at 30° or so). Riggi’s crucifix provided a slightly different, asymmetrical version in which the two arm positions alternated with each other. So reasonable did this seem that as far as I know nobody has actually tried it out. Or, which is not unlikely, it has been tried out and doesn’t work. This is because it relies on quite a ‘reservoir’ of blood along the top of the arm (your longer arrows) to break into smaller rivulets which drop straight off across the arm as it becomes horizontal (your shorter arrows). Have G & B demontrasted the blood CANNOT BE first century and human and CANNOT have very unique characteristics that may be explained by specific burial practice theory? NOT AT ALL. Have G & B demonstrated the bloodflows are totally alien to Roman crucifixion AND Second Temple period Judean burial rite and practice? NOT AT ALL. Have G & B demonstrated the bloodstains result from a medieval forgery? NOT AT ALL. Their allegedly ‘forensic’ experiment/BPA is just a masquarade of archaeological bloodstain pattern analysis: nothing is demonstrated, nothing conclusive at all surfaces. BTW you refer to “Riggi’s crucifix” when actually it is Ricci’s. Yes, Max. As Antero said, and I agreed, the conclusion is rather more dogmatic than it should be. However, although crucifixion technique is relevant to their experiments, burial practices are not, and mention of them is wandering away from the subject. Garlaschelli and Borrini’s experiments did not mimic the blood flows on the Shroud, and “seem to refuse to testify in favour of their authenticity.” That is not the same as saying: “nothing is demonstrated, nothing conclusive at all surfaces” and it is also not the same as saying that they prove non-authenticity. Neither the professors, nor I, not even the article leading this post, claim that they do. To suggest that they do is wandering away from the subject. When I agreed with the professors’ article, you asked me to name one specific thing with which I did not disagree. This is wandering away from rationality. I am very sorry that not only did I get Giulio Ricci’s name wrong, but in all my posts above I have referred to Prof. Borrini as Borroni and twice to Prof. Garlaschelli as Guarlaschelli. I do apologise to them all most sincerely. Precisely because G & B just cannot really discriminate between bloodflows relevant to Roman crucifixion and those relevant to burial practice (re-moistening and drying), their experiment/analysis is VOID (upper cases to make myself clear). Hugh, If you take a good look to the short video (above), G & B INDEED are mixing BOTH crucifixion and burial practice in their experiment. My money would still be on Barbet. He discusses the blood-flows from the wrists in considerable detail, the scenarios he proposes for the act of crucifixion are I think credible, have several advantages in military efficiency, and include detailed anatomical and triangulation analysis. I feel that Zugibe’s experimental attempts appear to me to be a little too contrived and represent an inadequate depiction. He supports this scenario with further geometrical and anatomical analysis, the amount of stretch available at the joints, and some Pythagoras, etc. Altogether a more thorough analysis than the toy experiments of Garlaschelli and Borrini. 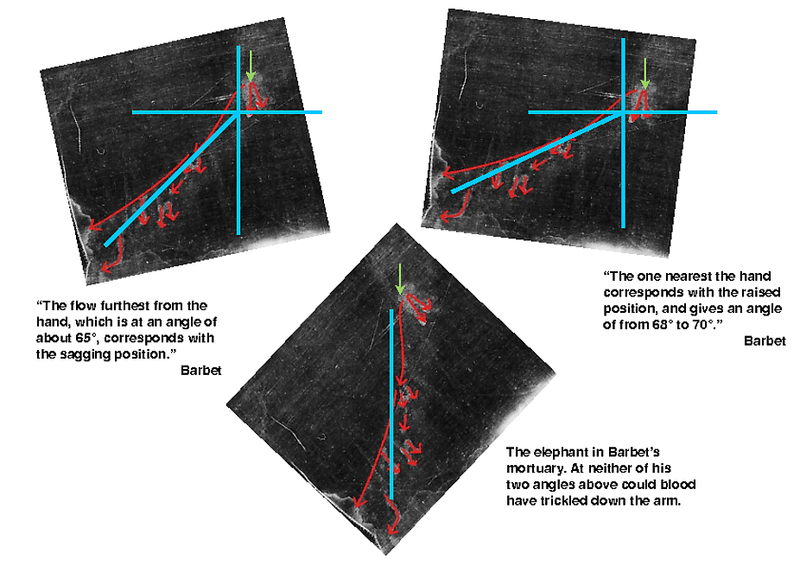 In these descriptions, Barbet considers only the twin flows from the wrist wound, not the flows along the arm. With reference to OK’s diagram above, there are three flows from the wound, represented as two short red arrows and one long one. Barbet considers only the shorter two. In order for blood to flow down the arm towards the elbow, his angles have to be considerably steepened. He does not seem to have considered the possibility that the arms may have been bent at the elbow at all. Nevertheless, it would be interesting if Garlaschelli and Borrini were to carry out more experiments with Barbet’s descriptions in mind. In Barbet’s scenario, I should think that bent elbows would be quite excluded. Remember he is envisaging that the arms are stretched along the cross-bar, and the wrists nailed to the cross-bar with the arms fully extended. As the cross-bar is lifted up onto the upright, the body sags with the full weight taken by the arms only. 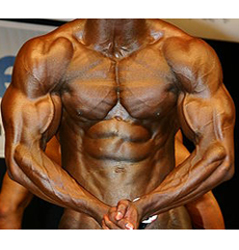 As the body becomes vertical, simple statics will show that the tension in each arm becomes 207 lb at 65^o. It is only when the feet are nailed to the upright, that this tension can be relieved. I get the impression from Barbet, that he believes he can confirm the 65^o as much from the limits of joint movement between shoulder and upper arm and the consequential triangulation, as much as from the blood flows. The lifting of the crossbar onto the upright does not seem admissible in Zugibe’s scenario where his volunteer is attached to a fixed cross already in position. This allows Zugibe to claim that the arm tensions are much less than 207 lb, and that therefore wrist nailing is not required. Even so, with any significant arm tension at all, with arms outstretched, I should think it very difficult indeed for any traumatised victim to sustain a bent elbow at all. Triangulation from a rigid cross-bar would seem to argue against it. We are of course only seeing the blood-flows on the outer surface of the arm. One question might need to be resolved by some experimentation, that is, to what extent would the surface contours of the arm under tension provide a track for blood flows along the arm at the angle of 65^o, or would they indeed be vertical. Would the head of the nail jam the wrists hard against the cross-bar so that the flow is constricted, or is it sufficient if the wrists are merely pinned to the crossbar, allowing a gap, that would not constrict the flow. The viscosity of the blood at the time of flow, might also be a significant variable. Yet another aspect might be, at what time during the execution did these now visible flows occur? Did they occur while hanging from the cross, or did they occur after the victim had died during his removal from the cross? If the latter, than all bets would be off, as the flows would then depend on the incidental disposition of the arms at the particular time the flows occurred. But that might depend if wrist wounds can bleed after death. My own sightings of blood-flows in an abattoir suggest to me that they might well do so, but I would be happy to be corrected by professional opinion. Reminder: Pr. Luigi Garlaschelli hold a doctorate in Chemistry while Pr. Matteo Borrini holds a doctorate in Evolutionary Biology and Ecology. Absent the fact they are not Second Temple period historians, none of them hold a doctorate in Archaeology and Bloodstain Pattern Analysis. This makes a world of difference as far their credibility/opinion/authority in the TS man Archaeological Bloodstain Pattern Analysis is concerned. Besides G & B are NO Shroud scholars worth their salt as actually it does seem both just ignore Barbet’s AND Ricci’s experiments. Re their absence of credentials as Second Temple period Historians (and Medieval Historians), it means their experiment is biased from the start as far as Second Temple period Roman crucifixion techniques and halakhic relevance of burial customs, rite and practices are concerned here. No test of a hypothesis is biased through failure to incorporate other people’s ideas. It is sufficient to state one’s own ideas, assumptions, even preconceptions. It really is time the host of this site made that clear. I agree with you in the sense that it is always better to get as much information as possible before advancing hypotheses. Both Professors Garlaschelli and Borrini, in the field of science, did not bother or are not interested in studying ancient Jewish burial customs. Obviously they felt that the need did not arise because think they see signs on the Shroud that demonstrate that it is a forgery and it is in their interest to advance their hypothesis also because of the association to which they belong. They have the right to say what they want, but from my point of view at least, their experiment is not convincing. If this will get them to study ancient burial customs is another story. I am working on this topic right now. There is no experimental test of a hypothesis that can’t be challenged or attacked through failure to consider other people’s ideas. The purpose of scientific research is to advance one’s own ideas and hypotheses. Other people’s ideas can be considered in the paper’s final discussion, AFTER one has reported the results of testing one’s own ideas. Let those who have contrary ideas test their own hypotheses. A blood flow is a blood flow, regardless of any subsequent occurrence. Burial practices were irrelevant to this experiment. Perhaps either you or Max could explain how expertise in such things could have helped. For instance, just to mention one obvious shortcomings, they curiously have failed to account for the void or “shadow” in terms of absence of blood staining in the otherwise continuous bloodstain patterns of the forearm blood wriggles. Would not their allegedly ‘super genius’ forger have made them continous from the wrist? Would not that tend to demonstrate instead, each of TS man’s wrists was nailed to the cross with a wooden plaque? Reminder: a wooden plaque was also used to nail Jehohanan ben Hagkol’s feet together to the cross (his remains were found in Giv’at ha-Mivtar, a Jewish neighborhood in northern East Jerusalem). “I should think it very difficult indeed for any traumatised victim to sustain a bent elbow at all.” You may be right, although a number of investigators subsequent to Barbet have disagreed, in two different ways, as I have described – either symmetrically raising and lowering the victim on the nails, or asymmetrically lurching from side to side. However, if the forearms were never more vertical than Barbet surmised, then it would be impossible for blood to flow down them. As for the blood-flows being post mortem, I think Antero would agree that this is unlikely. Although blood remains liquid in quantity after death, almost all the blood in the arms would have drained downwards after the heart stopped, and the size of the blood vessels involved would make it impossible for it to drain back to the wound site, even if the body was tipped upside down. Even if it could, it would then dribble out downwards over the fingers, not back up the arms. Hugh wrote: “These experiments speak for themselves”. Yes, indeed in terms of toy/amateurish archaeological experiments! No, Max. You’re still not saying anything very coherent. Perhaps you’d like to suggest what a Doctor of Archaeology and Bloodstain Pattern Analysis might do in the way of an experiment to determine if the blood flows are realistic. And what does this mean – “They curiously have failed to account for the void or ‘shadow’ “? Why should they? They were not trying to imitate a forger, they were aiming for realism. The fact that they did not achieve it does not demonstrate a forgery, and they do not claim it does. They do suggest that perhaps crucifixion was more vertical than generally supposed, which implies an acceptance that the blood flows might be authentic, but they do not discus whether their experiments could be improved, the better to model the pattern on the cloth. Perhaps they will. And this: “Each of TS man’s wrists was nailed to the cross with a wooden plaque.” It is unlikely that the plaque would be between the back of the hand and the cross, as the cross itself would provide an adequate surface. Johanan’s heel was nailed with the wooden plaque on the side away from the cross. It has been suggested that Jesus was crucified facing the cross, in which case the wooden plaque could be on the back of the hand, and cause the interruption of the blood flow, or that Jesus’s hands were tied together in the tomb, and the blood under the ligature was rubbed away. Which realism? Their experiment has nothing to do with archaeology. If, as you claim, they are “not trying to imitate a forger”, it implies they were trying to imitate both the bloodflows AND haematic cartography a 1st c. CE Roman crucifixion victim’s (‘ritually purified’) bloodied corpse lying suspine is supposed to leave on his burial cloth, or were they not? BTW can you prove a wooden plaque nailed on the front of the hand just cannot modify bloodflows on the back of the forearms as the blood tends to flow from the front of the wrist to the back of the forearm? Can Colin tell me what was G & B exact hypothesis here? Reminder for Colin and Hugh (who wrongly keep asserting “(burial practices were) irrelevant to their experiments”): According to UAAR, their wanted to answer the question: “Does the imprint of the body on the Shroud does match that of a condemned posted in a location similar to the classical representations of the crucifixion and that of a bloody body lying in the tomb?”. Can you tell me now how come “burial practices were irrelevant” to G & B experiments”? There is no obligation on the part of researchers to state their hypotheses. A few do, most do not. They simply report the results of their experiments and their conclusions.That is one more reason for not attacking hypotheses (on the rare occasions when divulged) for failing to reflect or incorporate one’s own ideas. It is mental laziness to expect others to test one’s own ideas, or even pay lip service. If it’s your ideas, do your own hypothesis-testing (with or without stating in advance what hypothesis you were testing). What is scientific cowardice and mental laziness is not to divulge one’s hypothesis and yet present one’s results as if they were purely and scientifically objective when most obviously they are not and are biased. I do understand you back up such scientists and such toy experiments. Science is never purely and scientifically objective. It’s done by human beings, not pre-programmed electronic robots. That’s why we put our ‘subjective’ hypotheses to the experimental test. It’s the interpretation of those experimental tests that needs to be objective, meaning that the same could have been arrived at by a totally disinterested outsider invited to examine the data (like a peer-review journal referee) with no personal axe to grind. Do you really think G & B thought they were just subjective and their allegedly scientific’ experiment was likely biased? Are you kidding? Most likely,they thought they were as objective/rational as possible and their experiments were truly scientific/rational, which they are not. I don’t know what they were thinking at the hypothesizing stage, but then neither do you for that matter. But as I’ve said, it’s of absolutely no relevance. It’s the final data that matter, and the researchers’ conclusions, with or without the initial hypothesis being articulated. Stop subjecting scientists to the third degree. It’s not how the merits v demerits of a case are judged. Stick to the facts. 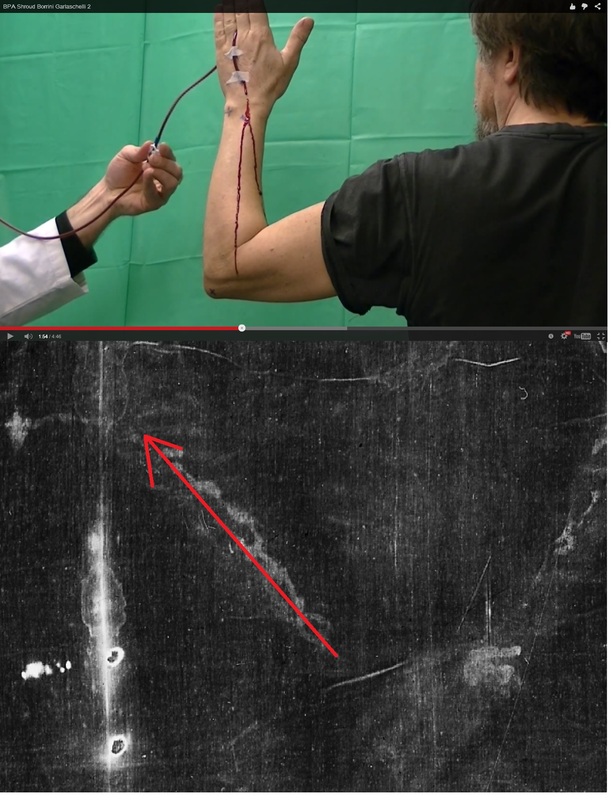 Still asking Hugh: Can you prove a wooden plaque nailed on the front of the hand just cannot modify bloodflows on the back of the forearms as the blood tends to flow from the front of the wrist to the back of the forearm? Actually these apparent voids in the bloodflows are totally consistent with nailing a wooden plaque on the front of each hand. Sorry but I do think this is an easy guess: they just thought they were rational (in their exeriments and interpretations. This is not a wild guess at all. Typo: “Does the imprint of the body on the Shroud match that of a condemned posted in a location similar to the classical representations of the crucifixion and that of a bloody body lying in the tomb?”. If the image is a man-made forgery, then the blood flows were added for effect. In fact all the blood on the Shroud is added for effect. Much has been made of the scourge marks — too perfect, too artistic – claim some. It’s a valid observation, the scourge marks are very symmetrical and one would almost expect an artist’s hand at work (if one doesn’t consider a Roman scourger an artist of sorts). But then why would an artist add extraneous blood flows? Why not more blood along the forehead – or in the spot where the spear pierced his side – the places an audience would expect to see blood? Why odd arm blood flows and epsilons? Ultra-realism from a medieval artist? Not likely. “Hugh: Can you prove…” Don’t go on, Max; I’m a scientist, not a mathematician. Scientists don’t prove things, they demonstrate things. But they rarely demonstrate non-things. If you think adding a wooden plaque to the entry place on the wrist before nailing it to a cross has some effect on the blood flow from the exit wound, thats fine. I just don’t believe you. I don’t care to demonstrate why, I just think you’re wrong, and you have absolutely no comeback to my opinion unless you can provide some smidgin of evidence to suggest you might be right. It really doesn’t matter whether Garlaschelli and Borrini are devoted advocates for the Shroud or fanatical atheists intent on the downfall of Christianity. They were looking for a correct posture to achieve blood flows like that of the Shroud. They narrowed their field to the arm and the side-wound, and tried a variety of postures for each, none of which matched the Shroud flows well. They could try different postures, or different blood, or different conditions on the arm, and perhaps they will. To claim they have shown that the blood on the Shroud is not the result of a crucifixion would be unjustified, and they do not claim it. They do claim that their results do not match those of the Shroud, which is true, and they do add “ma piuttosto a una rappresentazione artistica o didascalica,” which is assuming too much at this stage. # 2: warning: the true configuration of the experiment was not exactly that shown in the photo. In fact, my forearm formed roughly a 60° angle with horizontal and the elbow was slightly bent. #4: Blood stain on my forehead when I tensed the muscles of my forehead. #1 #2 and #3: I made several experiments (not shown). It seems impossible to obtain a blood rivulet along the back of the forearm if its inclination is less than 60°. However, with an inclination of about 60°, the inclination of the arm being about 30°, the natural result matches what we see on the TS. This includes the “out-of-image” blood with its final clot. B. and G. experiments are truly too simple and their conclusion is not at all reliable. Preliminary conclusion: if a medieval forger painted the Shroud, he had to perform some preliminary experiments with real blood on a person in order to paint the blood on the Shroud, including the “out-of-image” blood stain. In fact, the problem of the bloodstain pattern is much more complex… And my experiments were very preliminary experiments. circulation through the arms and legs. the amount of blood on a victim appears many times greater than it actually is. But the blood does not flow down in continuous stream on the side of the arm towards the elbow. It flows down on the upper, near-horizontal surface of the arm, occasionally dropping down the arms. In my opinion this is consistent with Garlaschelli & Borrini results. But truly, on part because they actually didn’t simulate such flow. I can’t can’t imagine how forger included all these features into the image on the Shroud. Why forger believed Jesus was crucified by nailing through the wrists rather than the palm? IN 14th centuary what was influenced the forger to imagine Jesus was crucified by nailing through his wrists? E.g. just take a good look at Dali’s Crucifixion above. Is it too much of a strain on your ‘scientific’ imagination to understand how a wooden plaque nailed on the front of the hand CAN modify bloodflows on the back of the forearms as the blood tends to flow from the front of the wrist to the back of the forearm and cause APPARENT voids (shadows) in the bloodflows (as seen on the back of the forearms from the wrist)? Or take a good look at Ricci’s reconstruction of the TS man’s hanging on the cross and do consider the possibily for the two wooden plaques with nail — during crucifixion and when pulled out of the hands during removal from the cross or during — to cause ante and post-mortem blood to flow out of the hand wound down the arm. Their alleged ‘reconstructions’ for gullible atheists are bogus and their prose too much circonvoluted as if they wanted to hide their utter failure to reach any really conclusive evidence in favor of forgery. I’ve no idea what you’re talking about, Max. Thanks very much for your photo, Thibault, but particularly for Fred Zugibe’s letter, which I don’t fully understand. He seems to suggest that at least two of my suppositions are incorrect, which is interesting, firstly that a crucified person’s blood may stay liquid for much longer than normal, and secondly that blood vessel contraction would also be reduced, so liquid blood could still flow out of a hand wound after death. That’s fair enough. However he also says that: “the blood in the arms would not flow backwards because the flow is governed by one way valves.” I’m not sure what he means here. Is he saying that the blood would not drain down towards the chest? Surely the one-way valves in the veins of the arm prevent the blood from flowing towards the hand, not towards the chest. After all the veins are taking blood back from the extremities to the heart, the valves allow that. Or is he saying that the blood still present in the veins after death could not drain out of the wrist, even if it were lowered, because the valves would prevent it. That makes a lot more sense. However he does say that some blood might be expected to escape from the wound after the nail were pulled out. It’s not obvious to me where from. It’s all very interesting though. Hugh, you wrote you’ve no idea what I’am talking about, Max” BUT you JUST THINK (upper cases mine) I’m wrong!???? Methinks you cannot think in 3D. 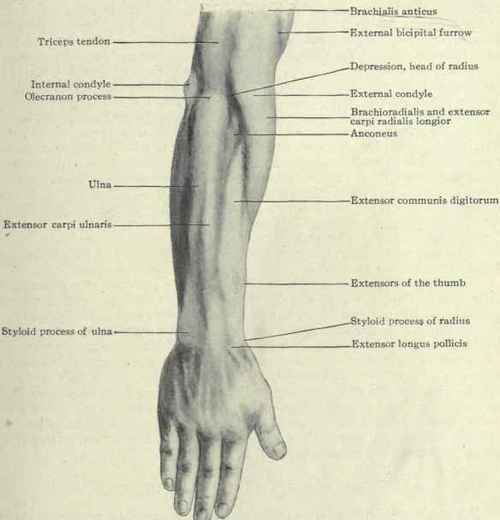 The two small rivulets of blood are from the exit wound (back of the hand) and the blood flows on the back of the forearms are from the entry wound (front of the hand not the exit one). Whence the discontinuity/apparent interruption of the blood flows on the back of both forearms. That’s much clearer; thanks, Max. Now all you need to do is to experiment to find a posture by which blood from the front of the hand can end up on the back of the arm, and you demonstrate your point perfectly. I don’t think you can, but at least I know what it is I disagree with now! Again just take a good look at Ricci’s AND G & B’s reconstruction. In the latter’s, most obviously the blood flow from the exit wound on the back of the left wrist tends to flow to the front of the left forearms. In the former’s, most obviously too the blood flows from the entry wound on the front of the wrists tends to flow to the back of the forearms. Now just imagine a wooden plaque nailed on the front of each hand and each front of the forearms extended or turned three-quarter upwards. No, Max. Blood from either side could drip down around the arm to meet somewhere near the elbow, as the various reconstructions demonstrate, but blood from the front cannot curl over to the back to produce the pattern shown on the Shroud. But all you need to do is to experiment to find a posture by which blood from the front of the hand can end up on the back of the arm, and you demonstrate your point perfectly. O.K: Your arrows and lines on the pictures are fanciful. You retouch the pictures as you want. Thibault, your pictures are insufficient. We cannot see the whole process and the body position in a sequence. Garlaschelli experiment is not so impressive. It proofs what is of common sense. At least two evident things. Barber’s theory about the Christ doing continuous flexions of the arms to survive is a crazy fancy. In regards to the direction of the trails of blood they would run in diverse directions. Zugibe’s theory of the post washing marks. In a lying corpse the trails of blood would run in a very different direction. See the side wound, for example. BTW can David Mo criticize G & B’s allegedly ‘scientific’ bloodstain patern analyseses and experiments too or MOST CURIOUSLY just cannot he? “Thibault, your pictures are insufficient. We cannot see the whole process and the body position in a sequence”. True. I was alone when I made the experiments. Therefore, I made the photographs afterwards. Nevertheless, I stay on my position: the “out-of-image” blood rivulet and its final blood clot is truly consistent with the crucifixion. Moreover, I don’t think that a medieval forger would/could have to paint this “detail”. I am ready to perform new simple experiments. Put your blood on the upper surface of the arm -just like I have indicated on illustrations, and let it flow down, unless it comes to the arm side. Let we see whether the results are comparable with the left arm of the Shroud Man. No, Hugh. 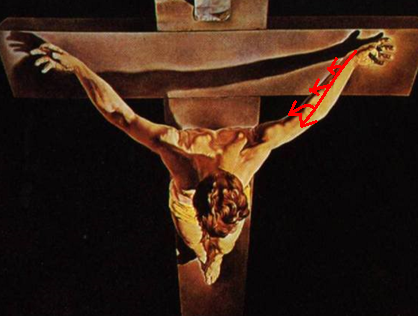 With the outer surface of the crucified’s anterior foream turned at least three-quarter upwards and through gravity, the blood flow from the entry wound on the front of the nailed wrist can tend to flow to the back of the forearm and follow the latter’s CONTRACTED extensor digiti minimi muscle as we can see it on the TS image. No, Max, that’s absurd. Garlaschelli’s, Thibault’s and Ricci’s versions are all illustrations to the contrary. All this ‘demonstrate the non-appearance of the elephant’ business is nonsensical. No Hugh. Reminder: the TS man’s extensor digiti minimi muscle of each posterior forearms were CONTRACTED/TETANISED. Now neither Garlaschelli’s, nor Thilbault’s are! Besides we cannot see the crucified’s extensor digiti minimi muscle of the posterior forearms in Ricci’s reconstruction?!!!!!!!!!!!!!!! Are you kidding? Addition: Neither Garlaschelli’s nor Thibault’s posterior forerms are turned or extended at least three-quarter UPWARDS?!!!!!!! For instance, in Dali’s painting they are. Typo (sorry): Addition: Neither Garlaschelli’s nor Thibault’s ANTEterior forearms are turned or extended at least three-quarter UPWARDS?!!!!!!! So, let me get this straight. You’d like me to get a nailed, tetanised arm and fresh blood from someone recently tortured, arrange the arm so that the front is turned three quarters upright, and drip blood down it just to demonstrate that the flow on the Shroud is unrealistic? Well, I’m sorry, Max but if you had any scientific education at all you’d know that that simply isn’t how science works. If I say an alien painted the Shroud and you disagree, you are not required to say why, or produce lots of pictures by aliens which look nothing like it; it is up to me to produce evidence for my claim. If you think blood can turn corkscrews around arms and I disagree, I am not constrained to say why, or to produce tortured bodies which look nothing like it, it is up to you to produce evidence for your claim. Which you have failed to do. First Question to Hugh: do really you think the extendor muscles at the back of the forearm of a crucified victim nailed in his wrists to a cross are as relaxed as in Garlaschelli’s and Thibault’s reconstruction? Second question: do you realy think Thibault’s or even Garlaschelli’s forearms are as muscular as those of a ‘naggar’ (Aramaic for ‘builder’ for ‘stone cutter AND carpenter’; in Greek ‘tekton’)? Besides unlike the TS man’s contracted/tetanised extensor muscles, neither on Garlaschelli’s nor on Thibault’s (non-contracted) extentor muscles there are voids (apparent interruption) in the blood flow from the wrist. Absent an airgap or screening object(s), indeed this can be due to the posture (the front of the forearms turned or extended upwards) by which blood from the front of the hand can end up on the back of the forearm. Can you answer my first two questions or cannot you? Hugh you wrote: “Dali’s painting would have been good except that there are no blood flows on it at all…”. In Dali’s painting, the posture (the front of the forearms turned upwards) is possible. Anatomically speaking this is no wild idea at all! If you just cannot imagine an anatomical fact, nope indeed! Firstly, your arms resting at an angle of 65^o (sagging position), turn the front of your hands and forearms upwards, then just turn your hand forward 90° at wrist level. Secondly raised your arms from 65^o to 68^o, 69^o or 70^o (raised position). Now you get the posture. 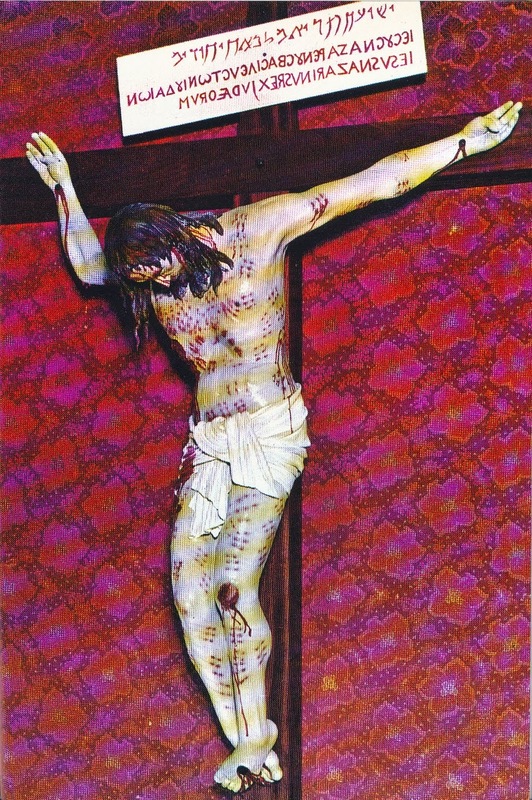 Neither Garlaschelli nor even Thibault or Ricci checked the posture that is anatomically most plausible as far as the TS crucifixion victim is concerned..
Hugh, you wrote: “blood from the front cannot curl over to the back to produce the pattern shown on the Shroud”. It can as far as ante AND post-mortem blood flow reconstructions are concerned. Methinks you just cannot think and see the difference in crucifixion and post-crucifixion blood patterns (the latter in terms of nail removal). Second question: do you really think Thibault’s or even Garlaschelli’s forearms are as SINEWY as those of a ‘naggar’ (Aramaic for ‘builder’ AS ‘stone cutter AND carpenter’; in Greek ‘tekton’)? Hugh, IF AND ONLY IF you take a good look at the figure above, you’ll notice the very shape of the back of the right forearm blood flow is TOTALLY consistent with the bulging extensor carpis ulnaris and digiti minimi muscles. …in terms of CHAIN-LIKE SHAPED crests and valleys. To paraphrase Bernard Werber, I would say, between what I think, what I want to say, what I believe I say, what I say, what you want to hear, what you believe you hear, what you hear, what you want to understand, what you believe you understand, what you understand…there are 10 possibilities that we might have some problem communicating. But I will try to make myself as clear as possible anyway. Here we have two different types of bloodstains most likely altered via burial procedures (remoistening and drying) and the ravages of time (fire and possibly flaking): one transferred when liquid remoistened dried blood has come into contact with the linen surface and three others transferred when the moist or wet surface of the in-soaked wrapping burial sheet comes into contact with dried or half-dried blood. We also have three different types of bloods as far as event chronology is concerned, namely ante-mortem and post-mortem crucifixion blood (the latter in terms of nail removal) + burial post-mortem blood.